The early detection and diagnosis of the carious lesion are a primary consideration of the minimal intervention dentistry (MID) concept. Detection is the identification of a demineralized lesion, while diagnosis is an iterative process using further information from the patient to identify the lesion as carious in nature. Traditionally, visual, tactile, and radiographic methods are used to detect carious lesion; however, recently tactile detection, especially using a sharp explorer, is not recommended apart from the delicate detection of enamel surface integrity/roughness. Use of simple devices such as loupes for magnification of the clean surface can improve detection validity. Advances in technology have led to many different devices being released onto the market to assist in the detection and quantification of carious lesions. Fluorescence of the tooth structure using different wavelengths of light can provide information about lesion extent and area and whether dentine is involved, and several commercial systems are available such as DIAGNOdent®, QLF®, and Soprocare/Soprolife®. It is important to follow standardized procedures with all of these detection techniques, as the validity and reproducibility of the results are highly dependent on this. Electrical impedance and photothermal radiometry have been promoted as alternatives to light-based technologies; however, evidence for these devices is still somewhat limited. 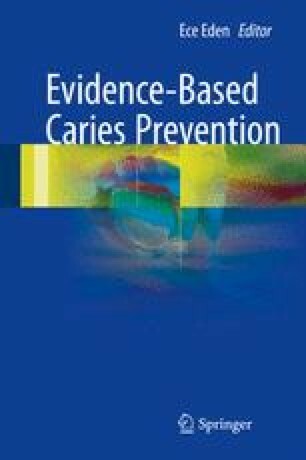 All of these traditional and new detection methods will be discussed in the context of minimal intervention dentistry and their potential value to the clinician and patient. Slimani A, Panayotov I, Levallois B, Cloitre T, Gergely C, Bec N, et al., editors. Porphyrin involvement in redshift fluorescence in dentin decay. International Society for Optics and Photonics; Proc. SPIE 9129, Biophotonics: Photonic Solutions for Better Health Care IV, 91291C, 2014; doi: 10.1117/12.2051741. Ngaotheppitak P, Darling CL, Fried D, Bush J, Bell S, editors. PS-OCT of occlusal and interproximal caries lesions viewed from occlusal surfaces. roc. SPIE 6137, Lasers in Dentistry XII, 61370L, 2006; doi: 10.1117/12.661795.